Happy New Year!! And since I didn’t wish everyone a Merry Christmas, Happy Hanukkah and Happy Kwanzaa, I’ll squeeze those in too. Sorry I was missing in action last week, I had to mourn the loss of my laptop. Don’t roll your eyes. I had my little friend for over four years and it’s been my best writing companion. Oh well, some things aren’t meant to make it to the new year (more on that later). But I digress, it’s officially New Years’ Eve (TURN UP) and instead of giving a long-winded list of my New Years’ resolutions (ZZZZZ) that I know I will break on Jan. 15th, okay, more like Jan. 10th., I’d much rather list all the lessons, some harder than others, I learned in 2014 that will prepare me for 2015. Don’t Sell Yourself Short– I’ve always been the girl that took what was handed to her, even if that small voice told me that I deserved more then what was given. For instance, this year I was blessed to have several writing job offers, so of course, I scooped them all up like Winnie the Pooh ladles honey. But, the sweet taste of opportunity and success turned bitter when one of the jobs piled on the assignments and gave little feedback on my writing, and to be honest, the pay was lousy. When I realized that I was doing the majority of work for a start-up site in which the creator couldn’t even be bothered to show up to editorial meetings on time, I had a famous aha moment: I deserved more. If you put your all into something and it’s not valued… then walk away (like I did from that job). Don’t settle for less than what you know you deserve. The universe will reward you for knowing your worth with a much better opportunity. Embrace What you Love– Do you know why Citizen Kane is my fave flick of all time? Because through all the ebbs and flows of the newspaper magnet’s life, at the very end he learned when he was most happy. Rosebud. And surprisingly it wasn’t when he was rich and powerful, but innocent and naive. Happily sledding in his parents backyard. As shocking as the deathbed scene is, I find it more harrowing than surprising. Sometimes where we start is where we’re suppose to be. As a young girl I always wrote stories, read stories and watched TV. In that order. But I never imagined being a writer. I thought it was a scary, unattainable goal to make a living writing words. Who would read them, anyway? Yet, it was what I always came back too. Combining my obsession with words with TV shows, I discovered my dream job: entertainment reporter. This year, I worked at entertainment sites to make it a reality. I urge you all to go back to when you were most happy doing something, anything and pursue it. Take Risks– I took the biggest risk of my life this year; I quit a safe, steady job to go after what I truly want to do. Yes, in this economy. I know it sounds like a first class ticket to poverty and destitution blvd, but I weighed the choices. Do I be miserable in a dead-end job or strike out on my own and see if I can really make my dreams a reality? So, I chose the latter. It was the biggest leap of faith I’ve ever made in my life. And I’m still waiting on that dream job to come… any day now. Hey, I never said it was easy. Are there days when I wish I was back at my old desk, doing data entry? Yes and no. When bills come, absolutely. Yet, I’d rather be brave and take the plunge then end up like this poor, unfortunate soul. Ask for Help– And this is coming from the “I got it” girl. Certifiably Miss Independent. But, “everybody needs somebody sommmmmeeeettttttiiiimmmmeeeeessss” and boy, did I need it this year. Quitting my job put me in a vulnerable position to rely on others for financial assistance. If it wasn’t for my husband and family I could never even entertain the idea of paving a new path for myself. As much as I want to think I can do it all on my own, I know it’s just not possible. There are occasions when it’s okay to lean on others when you’re not able to stand on your own. Trust Your Instincts– As corny as it may sound that small voice in your head is a good predictor of what you’re doing wrong or right. Think of it as your internal GPS, that won’t blindly lead you off a cliff. All the missteps I made this year could have been prevented if I listened to my gut. Hence, the writing job I mentioned above. Like Olivia Pope says it never lies. Take Constructive Criticism– There is a thin line between good and great. And you need to align yourself with people that will push past the just good enough point. Where would Beyonce be without Matthew Knowles challenging her? This year I realized that I need someone to believe enough in my talent to challenge me to be better.How else will you get to the next level? Dream Big– At the risk of sounding like Jaden and Willow Smith, what you think about is what you can become. Your mind is a powerful weapon that can be used to your advantage. For example, I applied for this position at a major magazine a few years ago, and the odds weren’t in my favor. I’m sure others were more experienced than me, had more connections. But, when I put the final period on my cover letter, you couldn’t tell me that I wasn’t going to get a call back. Guess what? I did. As cliche as it may sound, thinking happy thoughts isn’t so naive. Stand Up– If you can’t stand for something, you’ll fall for anything. Pick a cause…any cause, this year had a lot to choose from. Mine was the Eric Garner I Can’t Breathe movement that swept through the Big Apple like a twister and swooped people up with its call for change. Rally against any injustices that are worthy of your voice and walking shoes. Be Patient– As hard as it may be to wait for a goal you’ve had on your vision board since college. And you’re 30-something. Nothing happens over night, including career success. There has to be some reason why it isn’t coming to pass, in the meantime sharpen your skills, network and don’t give up. Help Others– I have the best remedy for feeling sorry for yourself. Help someone that is 1000 times worse off than you. This year I volunteered for a non-profit that helps prevent dating violence, not only to get out of the house and my own head, but to help others. Focusing on other people’s needs, beside your own, will not only grant you good karma, but minimize your own issues. Be Grateful– Anyone can point out what they don’t have. This year I made more of an effort to acknowledge what I am blessed with. I’m grateful to have a close knit family, a supportive husband and friends that respect me. Readers of this blog whether it’s 5 or 500. Thank you for supporting my dream, and I urge you to be grateful for what you have because it’s likely others will gladly switch places with you. Let Go– If Frozen has taught us one thing it’s to release the past and embrace what’s to come. No matter how difficult it is to let go, what’s gone is gone. Don’t keep looking back on something or someone that has been in your rear view with the expectation they’ll be a passenger again. If it happens, okay, but they’ll likely remain where you left them. I let go of jobs, friendships, TV shows and clothes. *sniff sniff* Nothing lasts forever, not even electronics. Especially electronics. So, the best we can do is move on. Just have a backup. Love Yourself– As selfish as it may sound you’ve got to put yourself first because no one else will. Make your happiness a priority and you’ll love everyone else around you a lot more. This was a hard pill for me to swallow this year because I pride myself on putting others needs before my own, yet hated being taken for granted. Once I started resenting the same people I put first, I knew I needed to make a change. Love yourself because no one else will as much as you do. Change is Good– I hate change. Every single transition I’ve faced has been met with tears. This year was the year of change. For good or bad I had to face it head on, like we all do. Change is the one constant in life and I’m getting better accepting the role it plays in my story. I’m even looking forward to it in 2015. Don’t be like me; don’t be stuck in your ways, learn to adapt. It will definitely be worth your while. Happy New Year, lovelies. Cheers to a wonderfully prosperous 2015!! HAPPY NEW YEAR, MY LOVES!!! The clock has struck midnight and we are officially in 2014. HAPPY NEW YEAR!!! 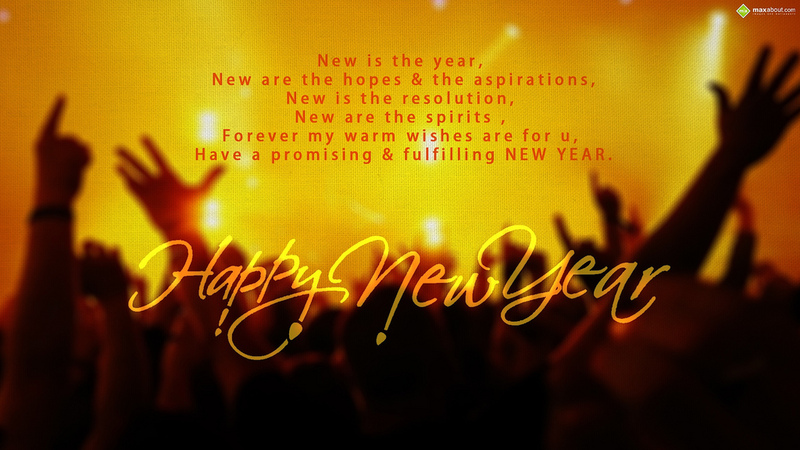 Let’s inhale the new 2014 air full of promise and possibility and exhale regrets, disappointments and any hurts from 2013. I don’t do New Year’s Resolutions because, honestly, they are so easily broken. But, goals are so much more obtainable. My goal for each and everyone who is reading this New Year’s message is to know your worth. Know your value. Know your strength. Know that you are ah-mazing, just the way you are. (thanks, Bruno Mars) It took me all of TWO years to figure that out, and this past year I finally did with some residual damage that gratefully didn’t break me. I love you all and I’m grateful for your love and support. 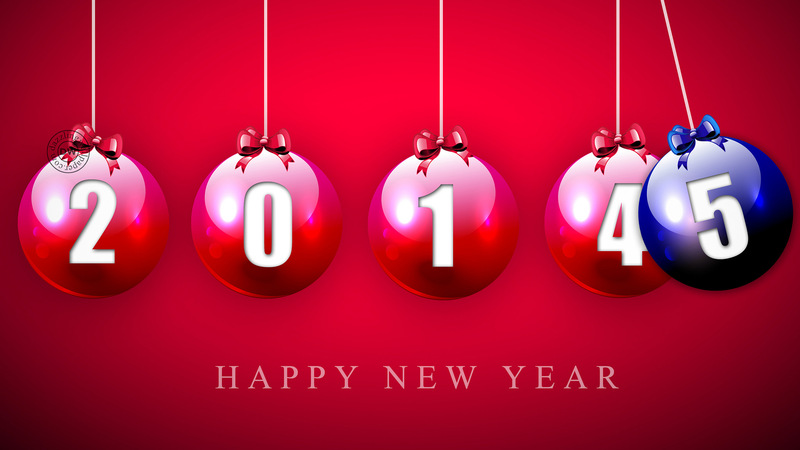 I wish each and everyone a blessed, prosperous and healthy 2014.